Bangladesh soft drink market is under volatility and it is one of the fastest growing markets in Bangladesh. During 80’s the consumer of Bangladesh even never thought of having energy drink by paying almost equivalent amount of money as required to buy a carbonated soft drink. From marketing point of view, 30 years ago it was not a commodity. Energy drink is a new thing in Bangladeshi market and they try to explore a new world of test, flavor, feeling and finally ensure the quality of new drink in the market. It is new but it’s very attractive and potential to the customer, that’s why the market value and market share is increase day by day. So it is a great opportunity for a soft drinks marketer to enter the market and gain a lot of profit to ensure the customer satisfaction. Partex Beverage Ltd is a leading soft drink producer, they want to introduce a new and potential energy drink for the customer, that’s they try to understand the current market of energy drink. I worked in Partex Beverage last three month for the purpose of internship program and my main target to know the current market condition of energy drink that means the potentiality of energy market, and I also tried to find out the developing procedure of energy drink in this market. In that period I saw here are four/five producers and a trading company working in this market. During my Internship time specially I conducted market survey through questionnaires that is build up marketing mix, and my main target to full fill research objective that is depend on five variable ( Retail sales pattern & volume, Retailers attitudes towards energy drink, Consumers consumption pattern, Producers activities & thinking. Consumer’s attitudes towards energy drink). The history of PARTEX group is no different. It had its modest beginnings in the tobacco trading business in 1959. Under the prudent stewardship of its founder – Chairman and Managing Director Mr. M. A. Hashem it has grown steadily over the years to become one of the leading industrial conglomerate of the country. In the early seventies, M/s. Hashem Corporation (Pvt.) Ltd. was established with its headquarters in the port-city of Chittagong. The missionary zeal and unflinching commitment to quality to services elevated the group to newer heights. At the time when the newly independent country needed about almost everything, the company involved itself in the import of iron, cement, sugar, rice, spices, wheat, salt, milk and other essential commodities. It did not stop there but to make the country self-sufficient went on to substitute imported products by manufacturing them locally. Guided by a visionary’s dream, backed by an inexhaustible repository of efforts, the Group emerged as one of the largest corporate bodies of the country. It is worth mentioning that all the Directors of the Partex Group have contributed a lot as promoter-directors in the growth of private sector Banking and Insurance in Bangladesh. Mr. M. A. Hashem, was the Chairman of City bank Ltd., during the period of 1987-88 and is also the Chairman of City Bank Ltd. at present. Partex Group owns and successfully operates more than 17 manufacturing and trading concerns and offers the best price-quality ratio to customers in Bangladesh. The Group’s exploration of the international market started, rather non-traditionally, with the export of condensed milk. In 1994, Mr. M. A. Hashem, Chairman of Partex Group visited an International Trade Exhibition in the USA, where he happened to meet the executives of Royal Crown Cola Co. International. From then on he started conceptualizing the idea of “RC” beverage brand in Bangladesh. With international brand name recognition and quality he expected that it would gain acceptability in the Bangladesh market. When he returned, a wide range of marketing research was carried out by Partex as well as RC International. After positive results, in 1996, the Corporate Head and the Directors formed Partex Beverage Ltd. Mr. Rubel Aziz, one of the pioneers of the concept of RC, was given the position of Managing Director. Funds worth Tk. 10 Crore were raised as part of Equity from the Group. Although registered as a Public Limited Company, no public offerings have been made as yet. The factory was setup in Rajendrapur, 40km away from Dhaka city. The company commenced commercial production on 6th October 1997, and RC was launched in Dhaka on 20th October 1997. This is the story of how Partex Beverage Limited became the sole official bottler of Royal Crown Cola Co. International. Introduction of RC Flavors (RC Cola, Royal Cloudy Lemon, Royel Orange, Upper 10) in 300ml Glass bottle in Greater Noakhali. Four Distributors were mobilized. Just before the closing stages of 1998, after assigning of few new distributors, Partex Beverage began distributing in Comilla, which added to its penetration in the southern region. For the first time in Bangladesh, as planned, Partex Beverage launched RC flavors in the revolutionary food grade PET bottles in two sixes- 1.0 and 1.5 Liter, in Greater Dhaka. Within a few weeks, Partex Beverage, went on to penetrate not only their existing markets, but also markets that they had left unexplored due to the constraints of glass packaging. Just before the Asia Cup, which was held in Dhaka, Partex Beverage added a feather to its cup, by launching its own mineral water brand, MUM. It was introduced in food grade PET in two sizes- 0.5 and 1.5 Liter. Partex Beverage launched their products in Sylhet, one of the largest markets in Bangladesh, with the introduction of RC Flavors and MUM in PET. This PBL did by mobilization of distributors of Danish Distribution Network. By this pointing time, Partex Beverage had mobilizing a total of 101 distributors. 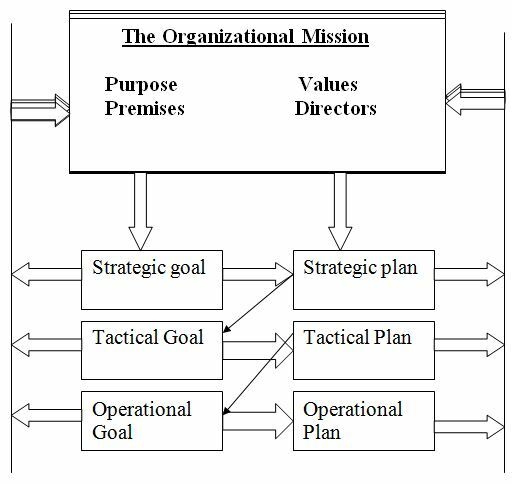 The board of director create all type of polices, prepares guideline and strategy for the company and the director and other top level employee support the decision and finally maintain all the operation day by day carefully in the company. The managing director of the company carefully look all event of Marketing, Finance, HRD, and several function of company day to day working performance and all the officer and staff of the company responsible to perform effectively. 1) Finance Manager: He is responsible and accountable for his position that is occurs all the day all type of financial transaction. 2) HR Manager: Here all type of job satisfaction of employees, employees job evaluation, salary distribute, new employees hire. All the decision he takes carefully. 3) BDM: Business Development Manager takes all the decision regarding sales department function in Partex Beverage. 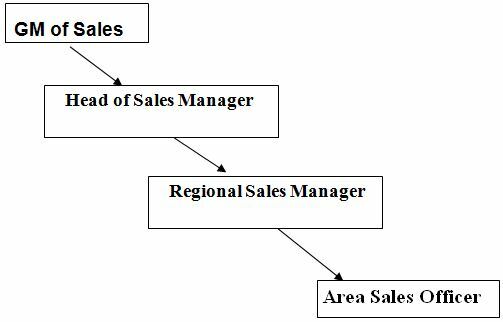 4) Sales and Marketing Manager: All the function regarding sales distribution, sales channel, Advertising method, survey customer satisfaction level of Partex Beverage Limited. Pratex Beverage Limited is a dynamic and more flexible maintain culture for every function of the company. Partex Beverage fosters creativity and entrepreneurship by creating a stimulating work environment where ideas coming from any member of the organization are encouraged, matter how small if people were to describe partex beverage as a person they’d use word like initiative-taker. Partex Beverage Limited always does the legal and ethical issues and also tries to do some specific work that is effective for society and the people. So that is clear all the people and specially me that partex beverage limited is situated in accommodative stance of social responsibility approach. We delight our customers .with superior quality product through flexible operations. Support brand portfolio / new product launch. Partex Beverage requires most of its suppliers to deliver raw materials just in time for using on its production line. They only need CSD chemical which they use for flavor and perform for bottling. Other than that they produce everything here with their automated machineries. They usually buy those raw materials from suppliers twice a year. Create an efficient entry barrier against local competition. Improve our distributor’s status to the trade pioneer among all FMCG companies. The Marketing Department and the Production Department activities are highly correlated. According to the needs of the Marketing Department, Production Department carries out the CSD manufacturing. The marketing Department forecasts the sales volume of the different brand soft drink for the coming business year and based on this; prepare a marketing plan known as the Sales Operational Plan (SOP). According to the Plan, Marketing Department communicates the brand wise sales target for each month to the Production Department. Based on the SOP, Production Department sets its production schedule. The inventories of CSD are also evaluated at this stage to find out the actual output to be produced. Partex Beverage has a well-defined mission for the selling and marketing of products, which to reach our target consumers in the most efficient and effective way through our strong distribution channels in every market place where we do business. A well-organized trade marketing team is working continuously to make this .mission successful; furthermore the whole country has been divided into three regions to perform the selling activities efficiently. The Company sells their product to the distributors; in turn the distributors sell to the retailers and cash & carry as well. Cash & carry are nothing but wholesalers. Cash & Carry are needed because at times the retailers may not have adequate funds to buy the required quantity. i. Regional Go-down: There are three regional go-downs through out the country to fill every regional demand just at the time of need and to overcome various uncertainties related to physical distribution of products, every regional go-down is directly controlled by separate Regional Manager to face the regional physical distribution challenge. ii. Distribution Warehouse: All distributors have their own warehouse, where RC can be kept safely while not degrading its product quality. Distributors buy RC from the Company and from that point ownership and all responsibilities of the products go under the distributors. iii. Opening Stock at Distributors Office: Apart from the warehouse every distributor also maintains another stock at their office. This stock is for maintaining any change in market demand instantly. Dealers sometimes sell RC through their counters to face special situation. iv. Delivery Van: All the delivery vans are owned by the dealers to assure the supply of RC on the door of wholesalers and retailers just according to their demand. There are two types of delivery vans. One is Pickup van and another is Rickshaw van. 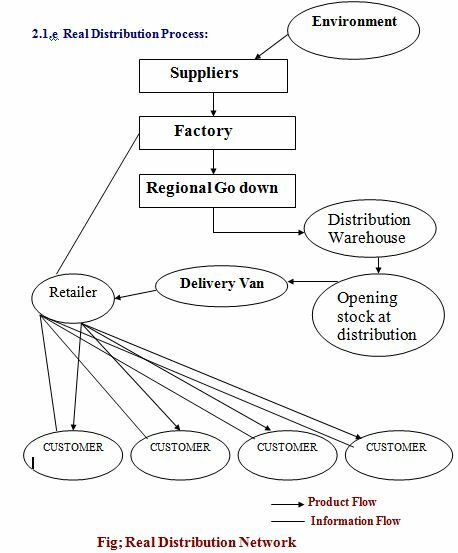 v. Retailers: Retailers are at the end of the physical distribution system of cigarette Selling products directly to the consumer. vi. 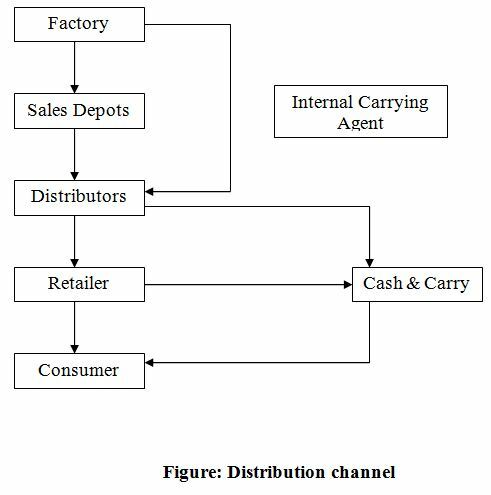 Distributors: The financial standing of the distributors, their reputation in the local region, and prior related business experience are some of the key criteria examined when a distributor is selected. The Head of sales, Regional manager and MD of the Company make a decision check the evaluation forms and field recommendations. After a distributor is selected they issue a ‘letter of intent’ that specifies certain requirements of the company. After these requirements are satisfactorily fulfilled, a formal -‘letter of appointment’ is issued. Distributors buy fixed volumes of RC from the Company at a set price and resell to the retailers. The company closely monitors their activities and performance and ensures them to operate in the market at the highest standard. Distributors follow a work routine set by the company, generating paper work, and reports as required. Distributors are assigned a certain geographic region within which they sell their RC. Different routes are assigned within the region that helps to sell their stock. Build general awareness/inquiries, encourage product handling, shift awareness (e.g., change attitude), response to competitor promotion, increase purchase rate, support other market decisions (e.g., support sales force), general corporate/product image building, etc. Partex Beverage Limited also uses the electronic Media as like Television, Radio, Internet, etc. New account development, account support/maintenance, encourage purchase/repurchase/inventory building. Partex Beverage Limited and also sale agents around the country. Consumers can easily walk in and get information’s for any products of Partex from those agent. Employees of these sales are always ready and try to help the consumers in the best possible way. Partex Beverage Limited always tries to build up a good relationship with their consumers. So they some time take different social activity that help them to keep a good relation to the customers. Build general awareness/inquiries/traffic, encourage distribution trial, shift awareness (e.g., change attitude), respond to negative news/perception, image building, prepare markets for future activity (e.g., new product). Partex Beverage Limited provides some extra facilities sometimes to increase their sales. Like sometimes they offer discounts for their products. They offer discount and gifts with on purchase during Eid, Puga, Partex also takes place in the fairs like trade fairs for advertising and sales promotion that helps them to increase their sales. Build inquires, encouraging inventory building, support other promotions, encourage handling of new products, obtain distributor assistance. Planning process like as a diagram of decision of planning of a company. The line authority makes a decision and the lower level employee makes it effective and develops the plan. Partex Beverage use both push and pull view process to produce product. but that is depending on the time of manufacturing time. Push process is more costly for the company because it consume more time and more costly. Forecasting is essential to produce a product due to push process. Partex Beverage some time use push process to forecast the customer demand in the present market. some time they ensure the customer satisfaction is first. 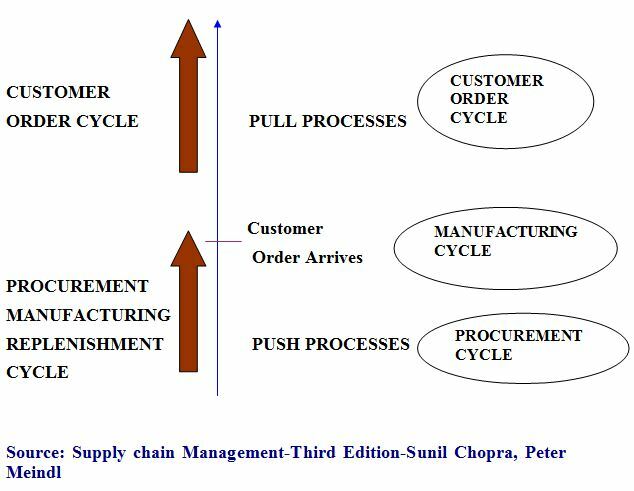 Push process describe the demand is not known and must be forecast. Push process may also be referred to as speculative processes because they response to forecast rather than actual demand. Partex Beverage most of the time use pull process may also be referred to as reactive processes because they react to customer demand. Because their philosophy is customer demand and want is first so they use both procedures for their customer satisfaction. S1: Market share is high. S2: Effective market & dist. channel. S3: Expert & experienced management. S4: Continuous growth in net income & net sells. S6: High awareness of the product. S7: High attribute of product quality. 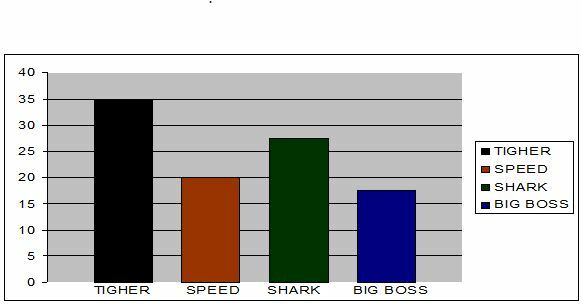 S8: Brand values & Brand recognition is high. S9: Environmental facility is available. S10: Strong cooperation from channel member. S12: Provide more promotional activity. W1: Not the market leaders. W2: Fewer budgets on promotional activities. W4: Image of the company is facing question. W6: Low area market coverage. O1: Demand for soft drinks is increasing. O3: New product can be launched. O4: Skilled employees enrich the organization. O5: Product price is lower than other company. O6: Reserve fund is high. O8: New ides are generated in the company. O9: Proven advantage of good location. O10: Increase company goodwill toward the customer. O11: Collect new technology and skilled person for product operation. O12: Improve high customer satisfaction. T2: Increased price of raw materials. T3: Growing up overhead cost. T4: Political unrest (emergency impact). T5: Depend on local supplier network..
T6: Trend on switching better job of resourceful sales people. T7: Large number of local and international competitor increase. Market survey, conducted through interviews. It is ensured that interviewers were thoroughly familiar with respondent selection procedures & the structure of the questionnaire. Primary data are collected from distributors, retailers, consumers. During my internship period I tried my best to on the performances of Partex Beverage Ltd. I have learned many things about official work, behavior and how to deal with consumer. I have learned how to communicate with general people. I have learned about behavior of consumers also learn a high range of promotional activities required to make a good consumers relationship. I know how to complete a market research effectively. Marketing research is the systematic & objective identification, collection, analysis, dissemination & use of information for the purpose of improving decision making related to the identification and solution of problems and opportunities in marketing. A research deign is a framework or blueprint for conducting the marketing research project. It details the procedures necessary for obtaining the required information and it’s purpose is to design a study that will test the hypotheses of interest, determine, possible answers to the Research questions and provide the information needed for decision making. To conduct this market research I have to follow the quantitative research method. Quantitative research seeks to quantify the data and typically applies some form of statistical analysis. Quantitative research is structured, statistical and recommended a final course of action. Survey method is used to collect data. I had to go the offices of each company & collected data by interviewing the officials. The target population is the collection of elements or objects that possess the information sought by the researcher and about which inferences are to be made. a) Consumers – residing in the Sukrabad, Kolabagan, Kollanpur& Lalmatia. b) Retailers- found in the Sukrabad, Kolabagan, Kollanpur& Lalmatia. 4.6.c) Sampling Technique: Sample random sampling technique each element in the population has a known and equal probability of selection. 4.6.d) Sampling Unit: The basis unit containing the elements of the population to be samples. 4.6.e) Sample Size: 40 consumers & Retailers. Close ended: Here respondent are restricted to answer in some alternative question that is selected. 4.7.a) Query about : Consumer attitudes towards energy drink regarding quality, price, promotion, distribution etc as well as retailers perception regarding same factors. 4.7.b) Size : 17 questions for Consumer and 15 questions for Retailers. 1) Which brand at first come your mind when you purchase Energy Drink? 2) What features you look when you purchase? 3) What is your suggestion for popular pack size ? 4) What type of flavor you like best ? 5) What kind of packaging you like best and affordable for you ? 6) Do you think reasonable price should be ? 7) What type of promotional activity you desire from the company ? 8) In which media would you prefer to a good advertising method? 9) What is your favorite TV program? 10) How many times you consumed in drink last week? 11) Do you have any suggestion for new energy drink ? 16) Which brand comes your mind firstly to give an order? 17) How much you store energy drink for your retail shop last month? 18) If any time you get default product how company ensure to return the product? 21)Are you satisfied current payment period, if not what is your expectation payment periods? 22) How much sales occur of each brand in a weak? 23)What type of sales promotion is advantage for you? 24) Which media would you prefer for good advertising method? 25) Do you have any suggestion for new energy drink? Marketing of energy drink is new. For better marketing achievement we can apply modern policy and procedure for marketing mission of this commodity. Nowadays it is also a very modern and technical marketing policy and strategy and followed for enhanced marketing mix and target achievement. Like other technical product energy drink now makes packaging in different way for different types and different segment of people for eligible use and suitable buying criteria. For Bangladesh market, it is not a different and the strategy of this kind of marketing promotion is continuously changing and magnificent technical application of marketing procedures and promotion. So modern marketing mix, application of 4 Ps and other marketing process is successfully effective for this mission and phenomenon. i) In our country energy drinks market is very potential. This market is expanding day by day. ii) Now this market is worth of Tk. 100 corer (approx) and it is increasing continuously. iii) Target consumers of energy drinks are young, Teens and Middle aged adult. iv) Segmented market – Urban & semi-urban area. Urban: metropolitan cities (Dhaka, Khulna, Rajshahi etc). Semi-urban: district town (Gazipur, Manikgonj, Jessore etc). v) Products taste, flavour & packaging play a vital role. All these attract the consumers greatly & motivate them to consume the brand. vi) Energy drinks brand positioning isn’t decent in the minds of the consumers. They think it’s not a normal soft drinks, it’s something like drug. 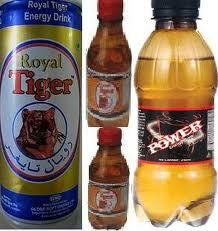 vii) The price of the existing brands – Royal Tiger, Big Boss & Speed (Plastic Bottle) is Tk. 20 except shark (Tk. 40). More than Tk. 20 is not acceptable. viii) Distribution activities of each company are – at least once in a week per market. 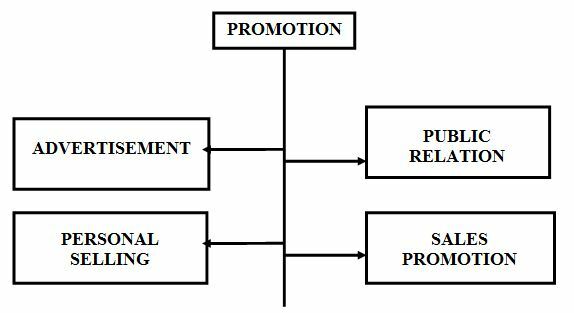 ix) Promotional activities are not so aggressive and attractive of any brand. Only TV advertisement is available, Brand attachment with media super start causes great impact on sales. e.g. Ayub Bacchu + Royal Tiger, makes the brand more desirable & prestigious. So, the overall scenario of the present energy market indicates that there is an unquenchable thirst of the consumer which is not met by the current producers. Thus, here is a gap between consumer’s expectation & producers supply. To meet this gap more perfectly Partex Beverage Limited can enter the market with a new experience, new brands of energy drink.